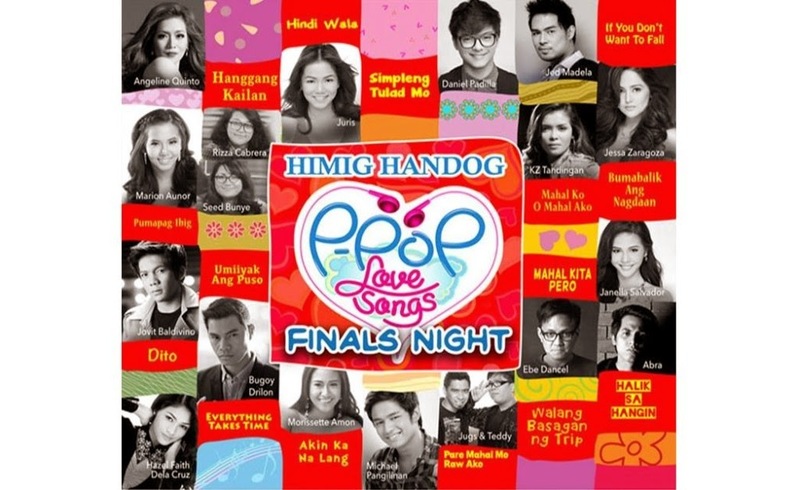 MANILA, Philippines - Organizers of the country’s biggest multimedia songwriting competition “Himig Handog Pinoy Pop (P-Pop) Love Songs 2014" named the list of winners during the finals night held on Sunday, September 28 at the Smart Araneta Coliseum. Grand Winner - "Mahal Ko o Mahal Ako"
2nd Best Song - "Halik Sa Hangin"
3rd Best Song - "Mahal Kita Pero"
4th Best Song - "Walang Basagan ng Trip"
5th Best Song - "Hindi Wala"
The top 15 finalist songs written by a mix of veteran and amateur Filipino composers were performed live by some of the brightest recording stars in the country. Kapamilya stars Kim Chiu, Xian Lim, Robi Domingo, and Alex Gonzaga were the hosts of the musical event. The Department of Science and Technology - Science Education Institute (DOST-SEI) officially released the results of September 2014 DOST Scholarship exam for academic year AY 2015-2016 on March 8, 2015. The list of passers out of 42,987 qualified graduating high school students who took the exam is available here as officially announced online. The national qualifying examination for DOST-SEI’s two undergraduate scholarship programs, namely, the Republic Act 7687 or the Science and Technology Scholarship Act of 1994, and the Merit Scholarship Program were administered on Sunday, September 21, 2014 in 141 testing centers nationwide. According to DOST, this year’s number of examinees reach an all time high and maintained the increasing trend in the number of applicants in the past years as it exceeded the 35,562 and 27,224 recorded for the 2014 and 2013 exams, respectively. Final selection of awardees to the different programs covered by DOST Scholarship shall be based either examinee is a qualifier in the S&T Scholarship Examination or grades satisfy the program requirements and has been endorsed by a school authority. The probable release date of September 2014 DOST Scholarship exam results is in March 2015. In 2014 DOST Scholarship exam, results were released on March 4, 2014 or approximately five (5) months after the exam date. A total of 3,982 high school students pass for the Undergraduate exams. 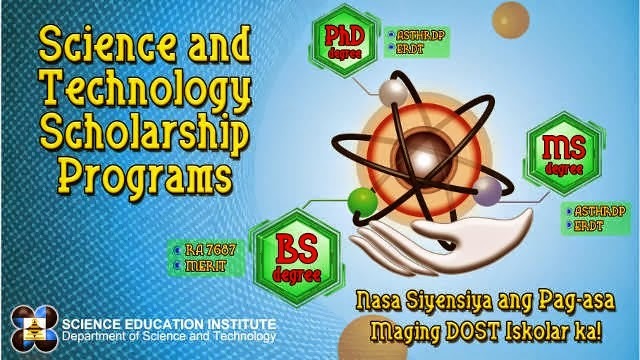 The Undergraduate Scholarship Programs of the DOST implemented by the SEI (DOST-SEI) are open yearly to talented and deserving students who wish to pursue 4- or 5- year courses in priority science and technology fields. The RA 7687 Scholarships and the Merit Scholarships both aim to produce and develop high quality human resources who will man the Science and Technology (S&T) and Research Development (R&D) efforts in the country. TheSummitExpress will update this page for the results of September 2014 DOST-SEI Scholarship. Follow Us on Twitter or Like Us on Facebook for more updates related to DOST Undergraduate scholarship. 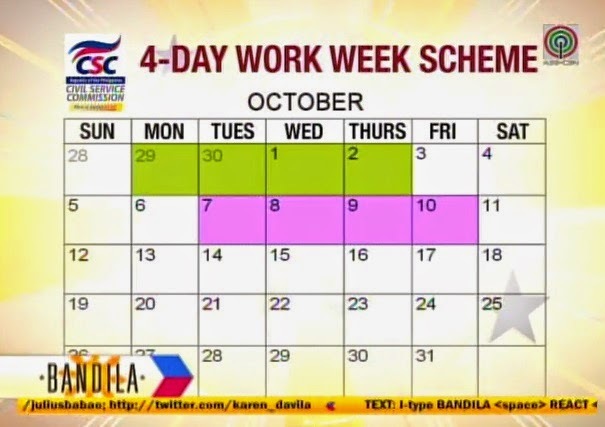 MANILA, Philippines - The Civil Service Commission (CSC) has approved the 4-day work week proposal for all government employees in Metro Manila to help ease worsening traffic situation. Under the new scheme which will will start on Monday, September 29, government offices can voluntarily implement the new work schedule from Tuesday to Friday or Monday to Thursday, from 8 a.m. to 7 p.m., with an hour off for lunch break. In a two-page resolution of CSC, government office should qualify first for the requirements of the commission before they implement the new scheme. It must have a one-stop shop and its frontline services accessible through the Internet. In addition, a functioning call center or hotline system is a must which diverts calls to the officers of the day should the person concerned be off duty. "Kung minsan po ang ating transacting public ay magwo-walk in sa opisina para humingi ng information para magtanong kung ano ang mga proseso nila. Yun po [dapat] pwede ma-access online," CSC Public Information Office director Liza Agamata said in a radio interview on DZMM. The new work schedule, the agency said, was also aimed at “promoting work-life balance among employees” and boosting their engagement, morale and productivity. Meanwhile, the Metropolitan Manila Development Authority (MMDA) on Friday announced support to the proposal. MMDA said it will now buckle down to study thoroughly the implementation of the scheme in the agency to ensure that it should be in compliance with the Civil Service Commission rules and regulations. Agamata has clarified that the new work scheme is not mandatory to government offices. 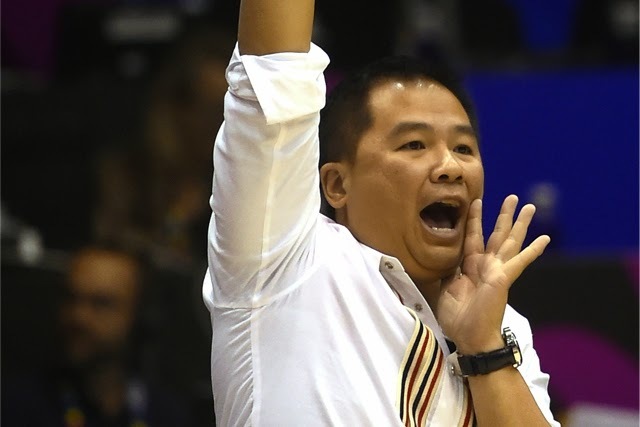 MANILA, Philippines - Gilas Pilipinas team coach Chot Reyes apologized to Filipinos for the heartbreaking loss in the Asian Games in Incheon, South Korea. 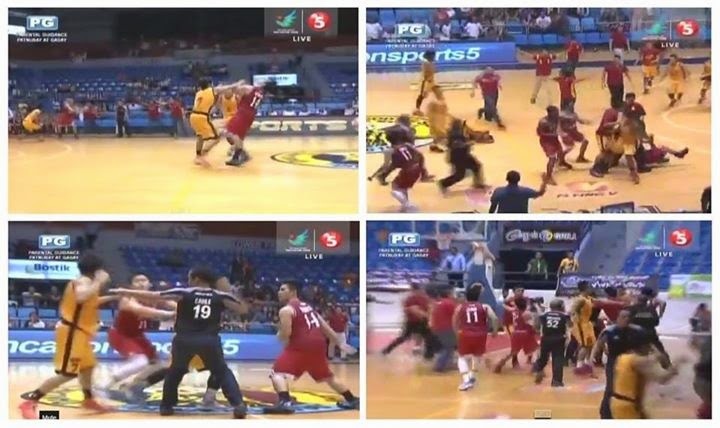 In a report from TV5, the official broadcast channel of Incheon 2014 says that Reyes issued apology after the defeat versus Korea on their do-or-die quarterfinal game on Saturday afternoon. “The entire responsibility falls on my shoulders. I want to apologize to our people,” Reyes told reporters in the post-game conference after Gilas Pilipinas’ 97-95 loss. “I’m very proud of my boys. They came out and fought hard. We fought up to the very end,” Reyes added. 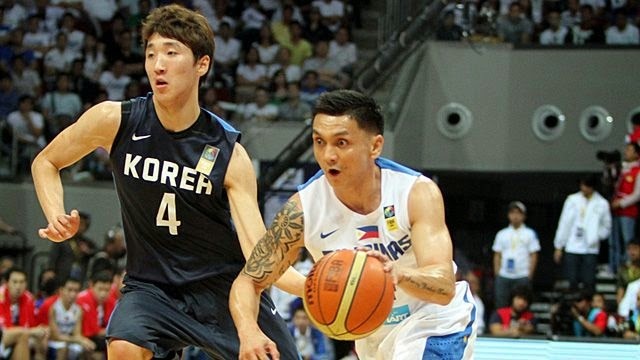 The consecutive losses against Qatar and South Korea eliminate the chance of advancing to the medal round for Gilas Pilipinas, which was hoping to end its 50-year gold medal drought in the Asian Games. 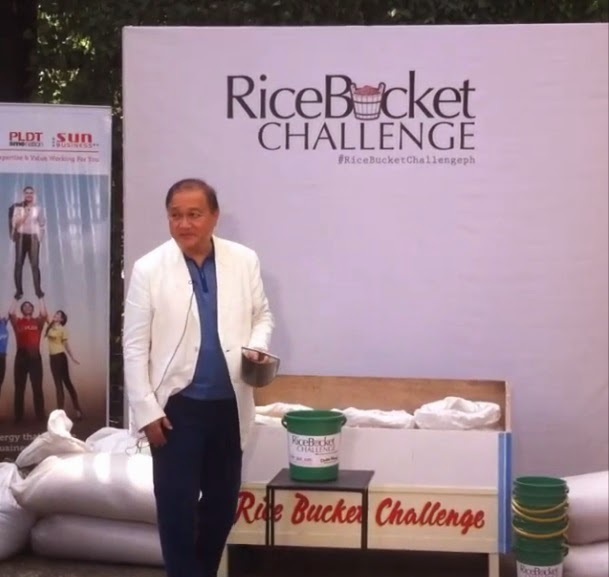 MANILA, Philippines - Business tycoon Manny V. Pangilinan known as MVP has accepted the the 'rice bucket challenge' today, September 27, 2014 in an event held in Makati City. Present at the 'rice bucket challenge' event and who have supported the advocacy were Dra. Vicki Belo and her daughter, TV5 Chairman and CEO Noel Lorenzana and Kapatid artists Ogie Alcasid and Wendell Ramos. MVP was tagged by another businessman Henry Lim Bon Liong to do the challenge. He has donated 100 sacks of rice. The 'rice bucket challenge,' a response to the worldwide popular 'ice bucket challenge' was pioneered by Dr. Henry Lim in the Philippines. It was started in India and now continue to become popular in other South Asian nations. The new craze served the dual purpose of highlighting water scarcity (in that the use of ice was considered expensive and wasteful) and poverty (in that a bucket of rice was considered a valuable donation by recipients). The campaign aims to encourage other people through social media to donate bucket of rice to people who cannot afford them. Rice is considered as a staple food in the country as even a bucket of it would go a long way. The telco war heats up anew as Smart shocked its rival Globe Telecom for its 'Free Mobile Internet' offer announced on Friday morning by PLDT Group's big boss Manny V. Pangilinan (MVP). Hours after the big reveal, Globe campaigns on social media that their 'Free Facebook' is back starting next week. 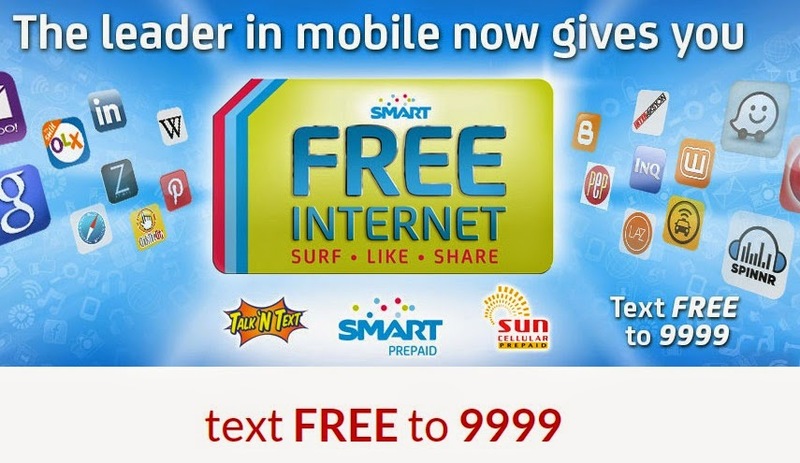 Smart also revealed on Friday that they're the pioneer for Free Facebook offer in the Philippines. 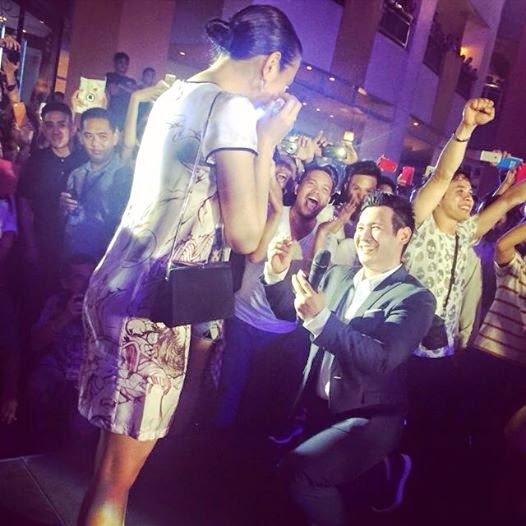 Social media channel smartcares Intagram post was captioned: "#FlashbackFriday! As early as 2011, Smart offered FREE Facebook for All. 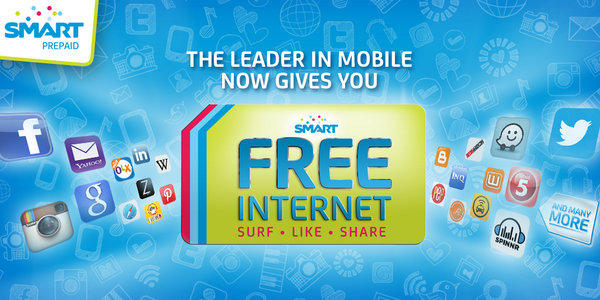 Now, with #SmartFREEInternet, you can access more than just Facebook. Enjoy social networking, browsing, and more!" This is the answer of Smart to Globe's claim of being the first telco in the country to offer this kind of promo to its subscribers. 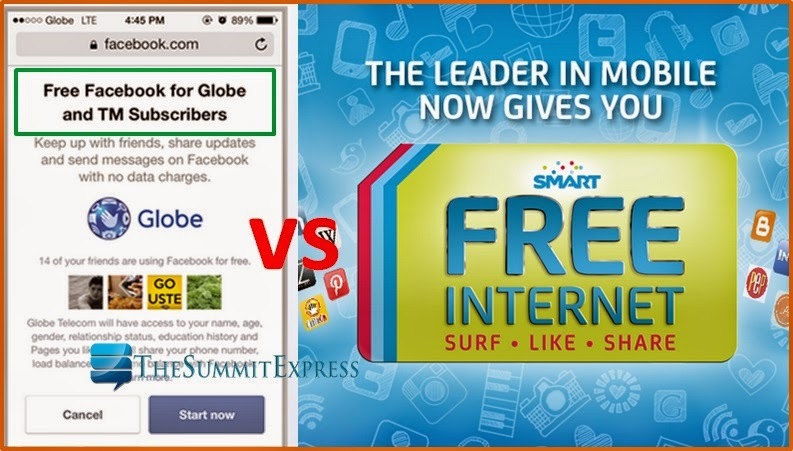 In October 2013, Globe treated its 36 million subscribers of free access to the top networking site. In a statement sent to media on Friday, it says: "As the telco which pioneered Free FB for the world, we are flattered and honored that our competitors have chosen to follow the lead we have set." "We wish to thank them for the compliment and wish them the best of luck. More people on the Internet is good for the Philippines and our ecosystem," Globe added. "We look forward to more vigorous competition to come! Stay tuned,” Globe has pointed out. Another thing that put a big debate online is the 30-Mb limit set by Smart for its free internet. Globe Telecom Communications SVP Yoly Crisanto said that it is "too small" for its subscribers. The analysis of Crisanto is based on observation on Globe subscribers behavior. A reliable source said that Chief Wireless Advisor of Smart Orlando B. Vea has clarified that 'free internet' is targeted to subscribers with no heavy data usage. A guide to the 30-MB limit per day was released by Smart for transparency. "On the average, a subscriber with 30MB can enjoy ALL of the following services: 20 social media posts with photo, 50 web pages loads, 20 plain emails and 15 minutes of music streaming." 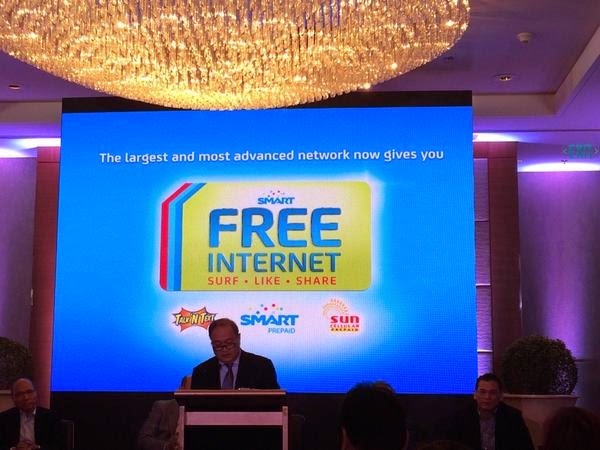 Meanwhile, Globe has declined to reveal plans if they are going to follow Smart's free internet offer. A 22-year old man has been killed after being mauled to death by a white tiger inside a zoo in New Delhi, India on Tuesday. Reports said that the victim identified as Maqsood by the locals jumped into enclosure at National Zoological Park of Delhi. Officials said that he appeared to be under the influence of alcohol. 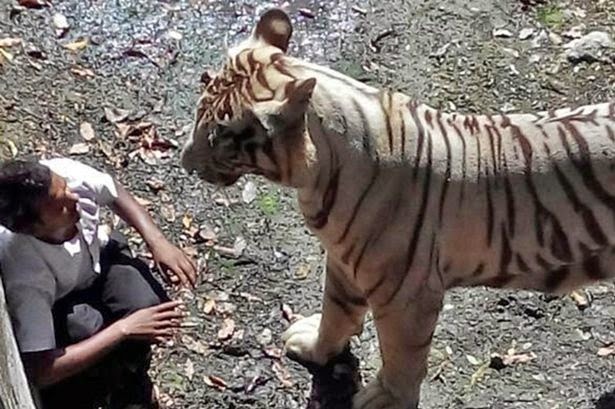 Before the shocking incident, a video shows that the man was sitting in such a position that he was pleading to the tiger. For few minutes, the animal touched him many times and also ignored him for a while. But what actually made the tiger angry was the people pelting stones at it. The full video which was captured through mobile phone shows that witnesses who were pelting stones towards the tiger to divert its attention made the animal violent and then it killed the man. 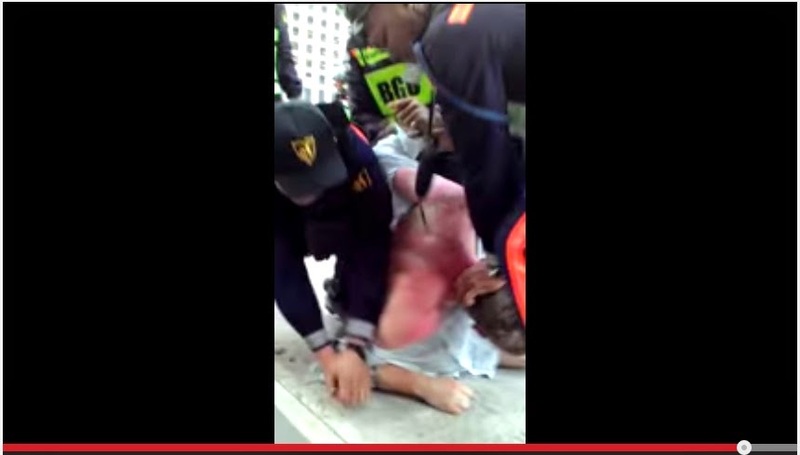 The white tiger caught the man by his neck and dragged him brutally. Authorities are now investigating about the incident. The Professional Regulation Commission (PRC) Baguio Regional Office announced today the probable release date for August 17, 2014 Licensure Examination for Teachers (LET) results - teachers board examination for Elementary and Secondary Level. PRC Baguio has provide an update on its article about the successful conduct of August 2014 LET emphasizing the revised target for the release of results. "PRC Regional Director Teofilo Gaius M. Sison, Jr. said the exam results will be released by end of October 2014. Examinees can verify their grades/ratings at www.prc.gov.ph by clicking Online Verification of Ratings (OVR), using their Application Number," PRC Baguio said in a blog post. In August 2014, PRC Baguio was quoted by many blogs and sites on its statement that results will be out online after 20 days. With this, it was computed that results will be released between September 15-19, 2014 or contrary to the usual 30-45 working days release of results for LET. PRC Board News, the official exam results portal of TheSummitExpress has received influx of traffic on the said duration as the examinees are waiting for the possible 'big day' of their lives. However, it was clearly stated on our headlines that results can be expected by end of September to around October 2014 based on computation and on past board exams. TheSummitExpress and PRC Board News, the leading news portal for all examination results in the Philippines will continue to monitor for the exact release date of August 2014 LET Results. 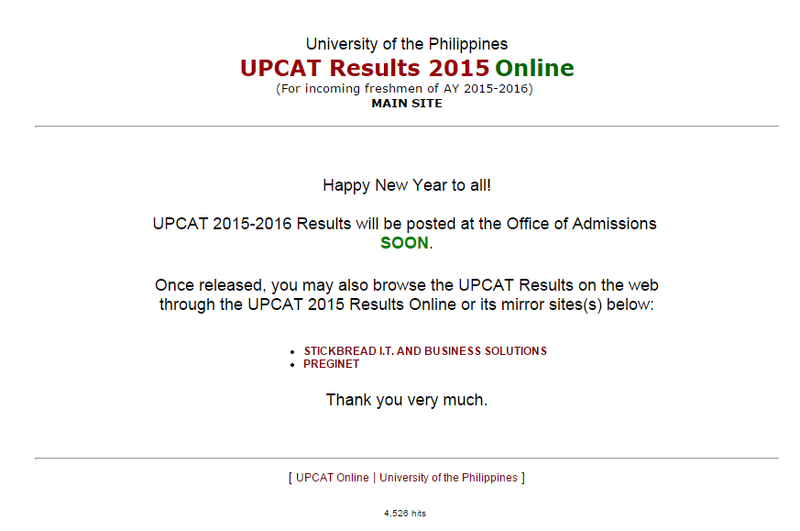 We advise all takers to visit our main page for August 2014 LET results for more updates. The Professional Regulation Commission (PRC) has released on Monday the full list of passers for September 2014 Master Plumber board exam. University of the Philippines (UP) - Diliman graduate Jay Mark Morales Estavillo topped the licensure examination with 83.10 percent average grade. A University of the Philippines Los Baños (UPLB) graduate Ronald Estrada Perez ranked second with 82.40 percent grade. MANILA, Philippines - The Chamber of Automotive Manufacturers of the Philippines, Inc. (CAMPI) has showcased the biggest gathering in automotive industry, the 5th Philippine International Motor Show (PIMS) from September 18-21, 2014 at the World Trade Center in Pasay City. Participating car companies at the show include BAIC, BMW, Daewoo, Honda, Isuzu, JMC, Kia, Lexus, Mazda, Mercedes Benz, Mitsubishi, Nissan, Peugeot, Suzuki, Toyota, and Volkswagen. Car enthusiasts have learned the latest vehicle releases, services, and technologies from the said automotive brands. The Motor Show (PIMS) this year was in line with the theme “Progress in Motion”, highlighting the local automotive industry’s role in propelling the country toward greater mobility and economic growth. In the first four months of 2014, the local automotive industry sales were up 22% from last year. Moreover, 2013 marks an important milestone for the industry as it breached the 200,000 level, achieving a record high of 212,000 units in total sales. The introduction of new models and promotion packages has led to the positive sales performance and has given the automotive industry improved consumer confidence. The first PIMS took place on August 9, 2007 with its opening ceremony which featured President Gloria Macapagal-Arroyo as keynote speaker. 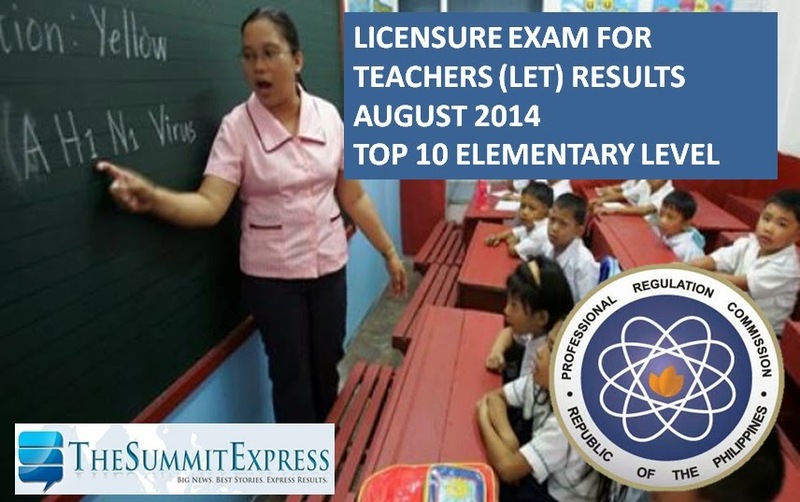 The full list of top 10 highest places (topnotchers) for August 2014 LET (Licensure Exam for Teachers) also known as Teachers board examination for Secondary Level was released by the Professional Regulation Commission (PRC) and the Board for Professional Teachers (BPT) in 51 working days after the exam. Those awaiting the results for Secondary Level may view here the name of successful examinees who got the highest grades for August 2014 LET board exams. The list includes the rank, school and average rating. More than 100,000 graduates of Education took the licensure exam in different testing centers nationwide: NCR- Manila, Baguio, Cagayan de Oro, Cebu, Davao, Iloilo, Palawan, Laoag, Legazpi, Lucena, Pagadian, Rosales, Tacloban, Zamboanga, Bacolod, Catanduanes, Masbate City, Catarman, Batanes, Jolo, Sulu, Bongao, Tawi-tawi, Romblon, Puerto Princesa, Palawan, Occidental Mindoro, and Hong Kong. In September 2013 LET, there are 16 topnotchers who occupied the Top 10 list for Secondary level. A graduate of University of Santo Tomas 9UST) topped the board with 93.00% grade. It was followed by a graduate of University of the Philippines (UP)- Diliman. On this page you will find the list of top 10 passers or topnotchers for August 17, 2014 LET (Licensure Exam for Teachers) also known as Teachers board examination as the Professional Regulation Commission (PRC) officially released results in 51 workings days after the exam. Those awaiting the results for Elementary Level may view here the name of successful examinees who garnered the highest places for August 2014 LET board exams. This includes the rank, school and average rating. 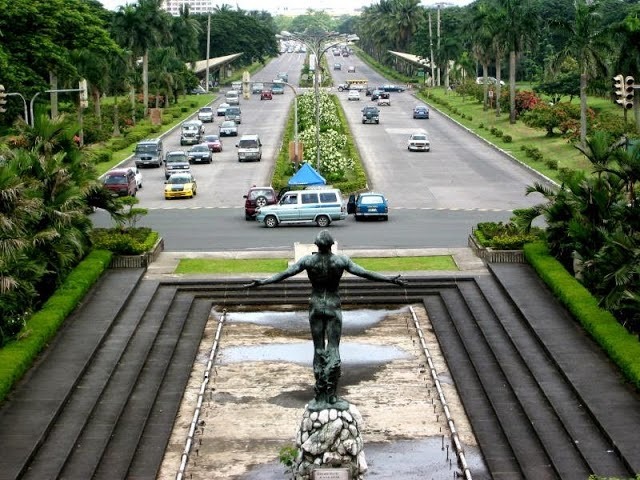 More than 100,000 graduates of Education course took the licensure exam in different testing centers nationwide: NCR- Manila, Baguio, Cagayan de Oro, Cebu, Davao, Iloilo, Palawan, Laoag, Legazpi, Lucena, Pagadian, Rosales, Tacloban, Zamboanga, Bacolod, Catanduanes, Masbate City, Catarman, Batanes, Jolo, Sulu, Bongao, Tawi-tawi, Romblon, Puerto Princesa, Palawan, Occidental, Mindoro, and Hong Kong. In September 2013 LET, there are 55 topnotchers who occupied the Top 10 list for Elementary level. The top 10 lists for Elementary was dominated by the colleges and universities from provincial areas. A graduate of Golden Heritage Polytechnic College-Carmen topped the board with 90.60% grade. Subscribe now to our E-Mail List, Follow Us on Twitter and Instagram or Like Us on Facebook to receive more updates on Teachers board exam. 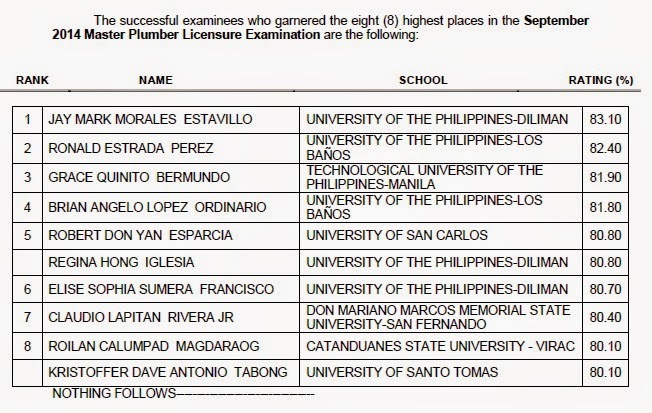 Those awaiting results of September 2014 Master Plumber board exam may find here complete list of passers, top 10 (topnotchers), top performing schools and performance of schools as the Professional Regulation Commission (PRC) and the Board for Master Plumbers released results in 2 working days after the exam. PRC on Monday announced that 493 out of 1,368 passed the Master Plumber Licensure Examination. 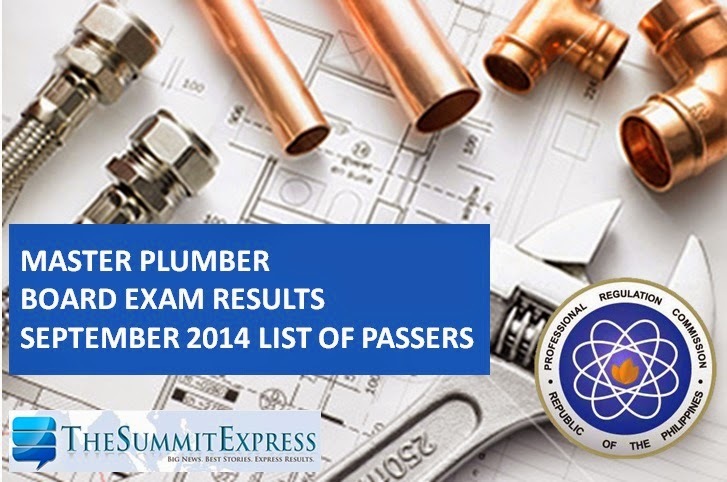 Master Plumber board exam was given in Manila on September 16-17, 2014. The members of the Board for Master Plumbers who gave the licensure examination are Engr. Virgilio D. Simbulan, Chairman; Engr. Jessie M. Mariano and Engr. Valentino M. Mangila, Members. Master Plumber licensure exam covers the following subjects: plumbing arithmetic, sanitation, plumbing design and installation (Day 1) and plumbing code and practical problems (Day 2). Results should have been released on Friday but Malacanang Palace has declared work suspension in government offices due to inclement weather as tropical storm Mario hit Metro Manila. In August 2013 board exam, results were released in two working days after the last day of exam. A total of 246 out of 645 passed the Master Plumber Licensure Examination. Like Us on Facebook, Follow Us on Twitter or Instagram to receive more updates on Master Plumber board exam. You may also subscribe to our RSS Feeds via E-Mail.